Gidday! Welcome to the December Christmas photo quiz! 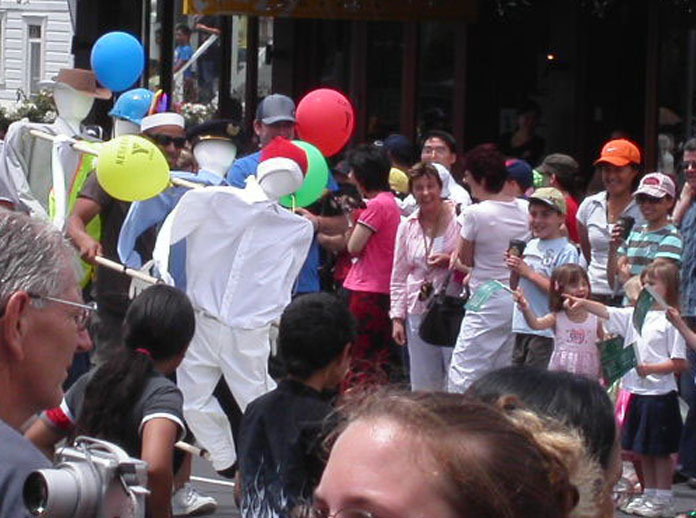 Santa parades in local shopping centres in New Zealand are common in early December. 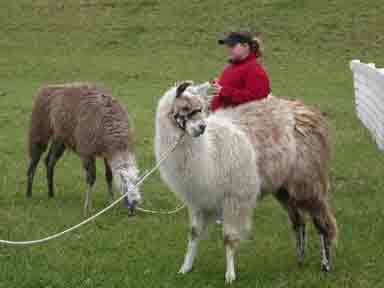 They are a lot more 'home-made' and use local people. 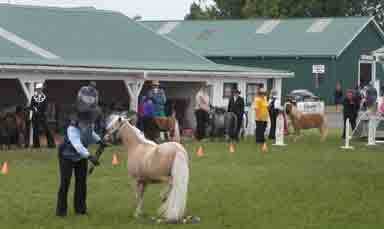 Click each photo to make it bigger, look carefully at each photo and read the text below. Answer the questions at the end by clicking the correct answer button and check your answers. 1. Bagpipes and Xmas socks! 2. 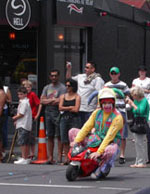 One of the clowns. 4. A fairy on a Harley! 5. A float and a smile! Photos 1 -6: Bagpipe bands are popular at parades in New Zealand but do not usually have Christmas socks on the pipes! 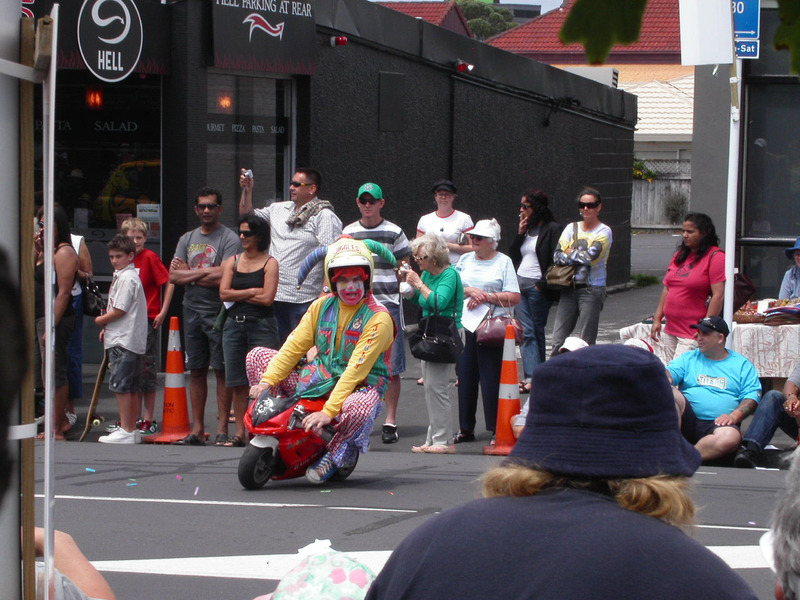 The clown entertains the waiting children well on his little bike. A novel way to use your old shirts: dance with yourself. This idea made children laugh. 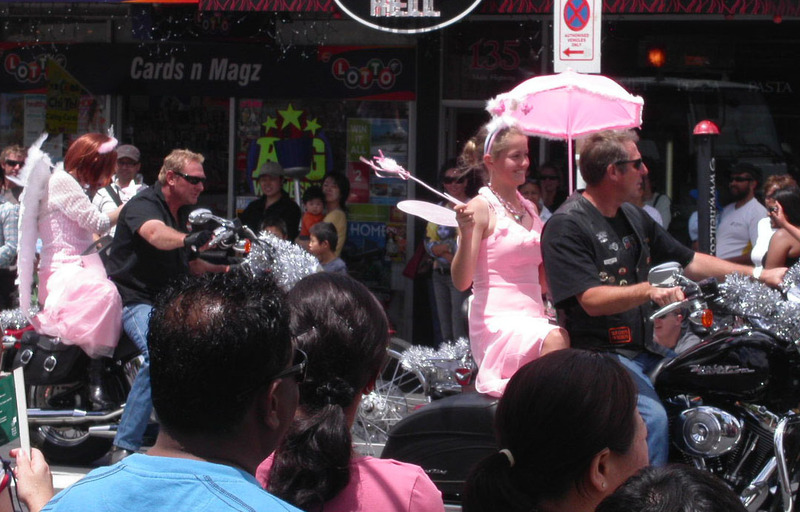 Fairies are popular additions to parades and some of the local fairies ride motorbikes! The hippies were out playing music and smiling on one float. 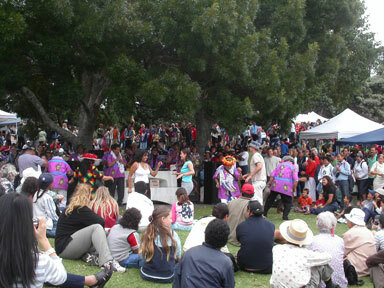 Pohutakawa (the New Zealand Christmas tree) was the theme for the young children. Their hats looked like the flowers - the same colour and shape. 6. A little decorated car. 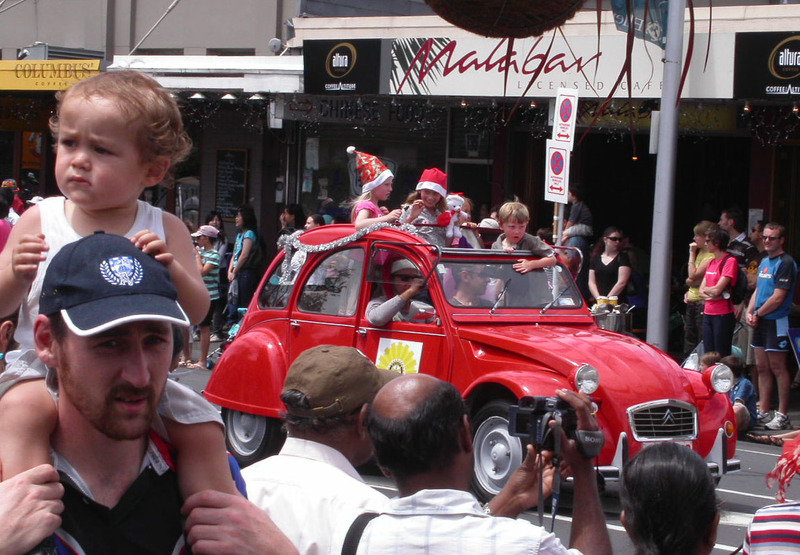 Little cars are popular with children too. 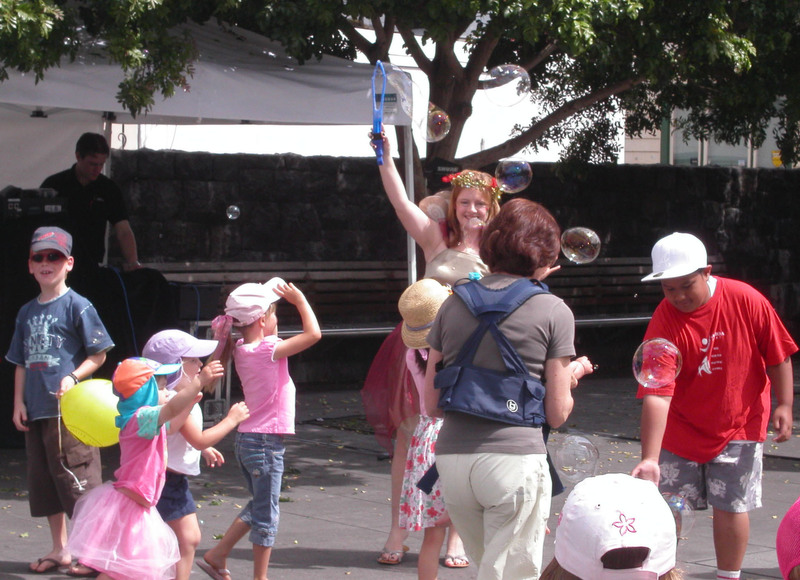 The fairy entertained children blowing fairy bubbles (balloons?). The last in the parade is always Santa. 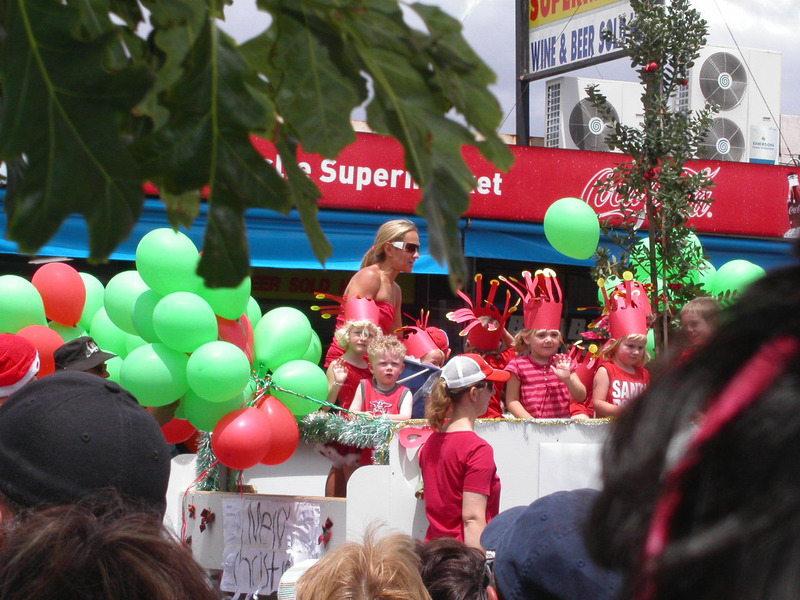 A Local Shopping Centre Christmas Parade quiz. 1. 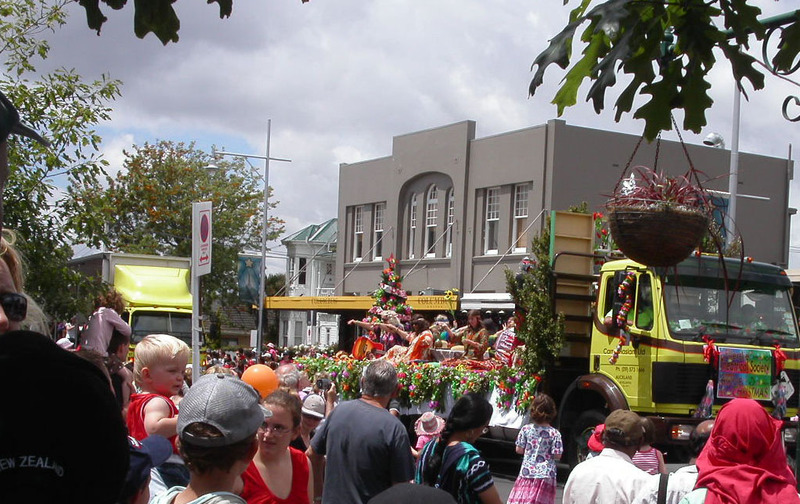 What can you see in a local Christmas parade? b) Adults holding their children on their shoulders to see. c) Floats, balloons, little cars, clowns, fairies. 2. What colour are the flowers of the New Zealand Christmas tree? 3. Santa Claus is riding a sleigh with reindeer pulling it. 4. Bagpipes are a Scottish musical instrument. 5. Young and old thought the 'shirt man' was funny.